PlayStation Home was delisted after six years of development, updates and expansions by Sony and numerous other first and third-party studios. It was still referred to as a “beta” product through its lifespan. The closure was first announced by Sony Japan in August of 2014 for Asian territories where the game was first launched in open beta. Though statements initially promised that PlayStation Home would be unaffected in American and European territories it’s shutdown was eventually confirmed worldwide. Throughout its existence numerous companies and studios created content for PlayStation Home including Loot Interactive, Outso, Heavy Water, Virtuos, nDreams, Lockwood, Veemee, Digital Leisure, Madmunki and Hellfire Games. While none of their contributions to Home are accessible some of them have gone on to create Home-inspired multiplayer online spaces with titles like Big City Stories, Atom Universe, Nebula Realms and Four Kings Casino & Slots. “PlayStation Home is a ground-breaking 3D social gaming community available on PlayStation 3 that allows users to interact, communicate and share gaming experiences. By leveraging the power of PS3, PlayStation Home delivers overwhelming visual graphics and rich gaming social experiences only possible on the PS3 platform. Within PlayStation Home, users can create and customize their own unique avatars and explore the virtual community in real time where they can communicate freely through text or voice chat. PlayStation Home users will not only be able to enjoy variety of entertainment content such as mini-games, videos and special events along with their friends, but will also be able to create their own community by using the “Club*2” feature to create clubs with other PlayStation Home users who share the same interests. 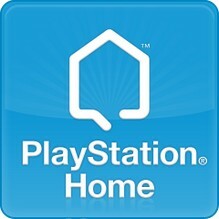 PlayStation Home also allows groups of users to launch directly into their favourite online games together from PlayStation Home. For much more on PlayStation Home’s history, the companies that supported it and to see it in action please visit Wikipedia, YourPSHome.net and Troidy’s channel on YouTube.